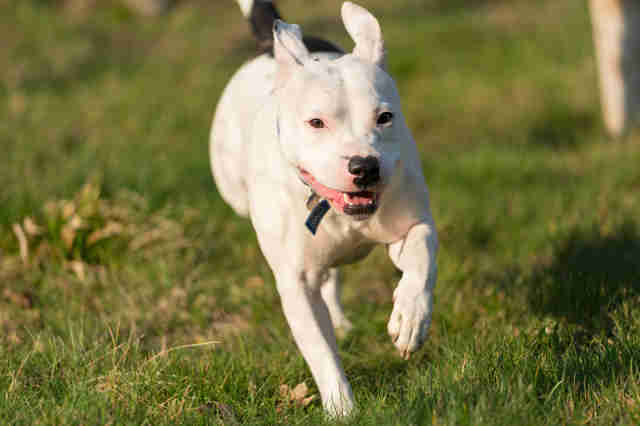 Just a few months ago, Snoop the Staffordshire bull terrier was the loneliest dog in the world. His owner had dumped him, along with all of the dog’s belongings, on the side of a road in England — and it was all caught on camera. The footage, which made its rounds on social media, shows poor Snoop running after the car, clearly heartbroken to be left all alone. After going through so much in the public eye, however, Snoop finally has something to smile about: He’s been adopted. His new dad, Laurence Squire, couldn’t be happier to be the lucky person who brings Snoop home. 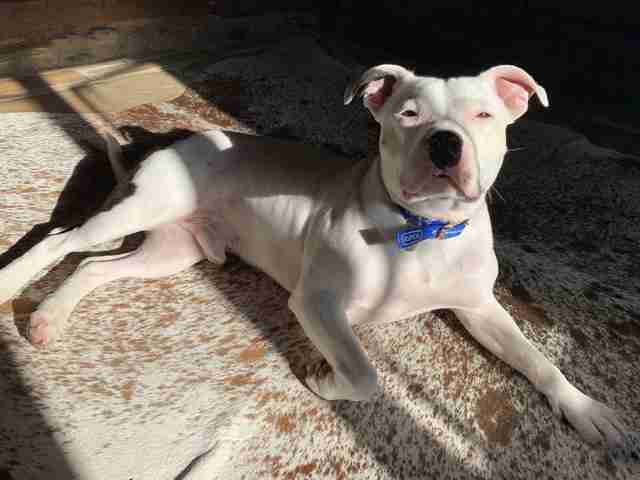 Snoop is definitely loyal — so loyal, in fact, that his rescuers from the RSPCA say he’s prone to separation anxiety. Luckily, Snoop’s new dad works from home, so they’ll be able to spend a ton of time together. While it’s only been a few weeks, Snoop is already settling in beautifully, and his new life couldn’t be any more perfect for him. 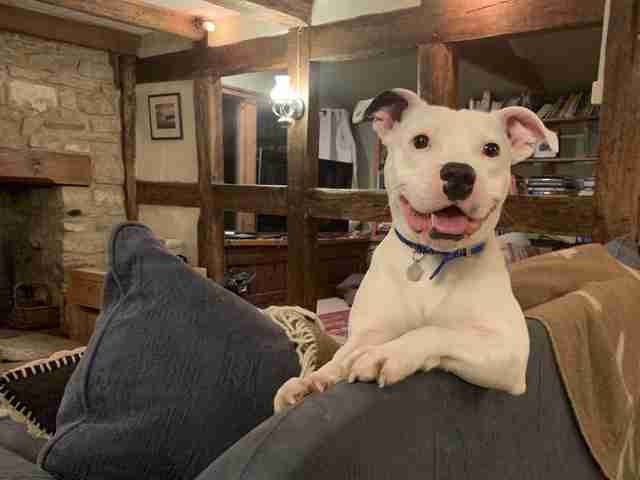 Rachel Butler, an RSPCA spokesperson, said Snoop seemed to be extremely comfortable with his new family on a recent home visit. 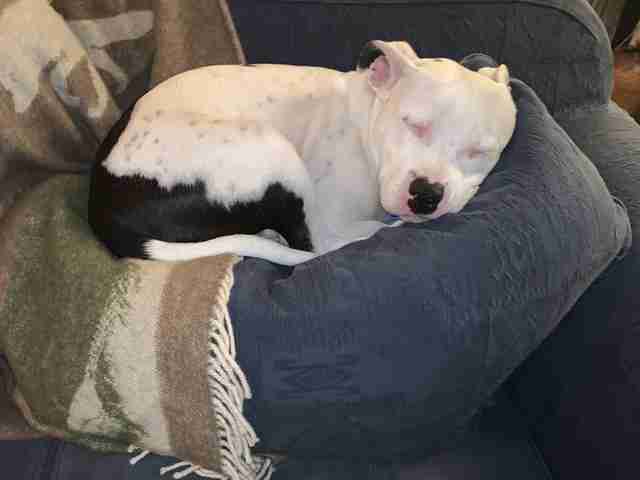 Snoop is napping, playing and running around just like the happy dog he was always meant to be — but still, he doesn’t let his new dad stray too far from his sights. To help more dogs like Snoop, you can make a donation to the RSPCA.